It has been a while since this 2-song release was featured in the Spanish Blog "Y Éste Finde Qué" but is still worthy to take a look at it. 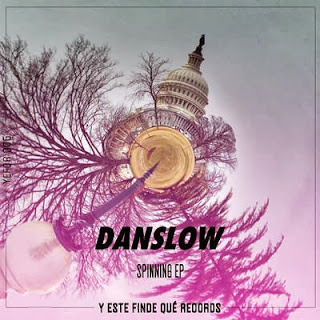 With a great Disco influence 'Spinning' EP by Danslow is a must for every Nu-Disco / French House follower and DJ. Pierre Danslow is a multi-instrumentalist and producer from Mexico living now in Berlin, and having some great local support in there. His tracks have been featured in compilations with artists such as Harvard Bass and Rob Threezy, and he also has released a great remix for Gotye. We will be looking forward to listen to more indie dance tracks from Danslow in the near future.